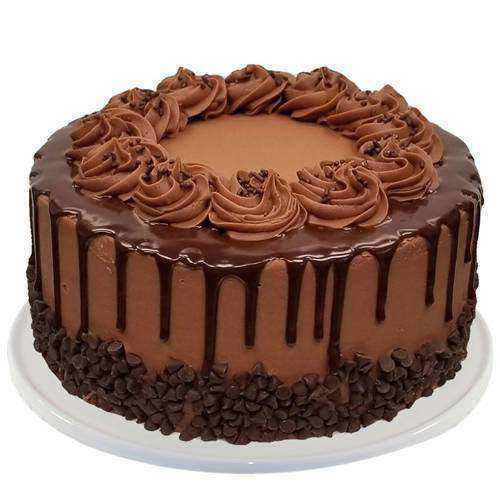 Celebrate extravaganza of chocolate Give a sweet course treat to you dear ones with this Scrumptious 2.2 Lbs Chocolate Cake from Taj or 5 Star Hotel Bakery. Drive your loved ones crazy with excitement by gifting them this Pretty Mixed Flowers Bouquet with 1 Kg Chocolate Cake from Taj / 5 Star Hotel Bakery and make your mark forever in their hearts. Sparkle happiness into the lives of the people you care about by sending them these Fabulous 24 Red Roses with 1 Kg Chocolate Cake from Taj / 5 Star Hotel Bakery and make them feel more loved and lucky. Order for this Celebration Special 2 Kg Taj or 5 Star Hotel Bakery Chocolate Cake and celebrate the even in a festive manner.